FERC Orders NERC to Develop Physical Security Standards March 7 - In the wake of recent press coverage of the Metcalf substation attack and mounting concerns from Congress over physical security at critical grid facilities, FERC ordered NERC to develop and submit to FERC by June 5 new reliability standards to assess vulnerabilities threats to physical security at certain critical facilities, and an implementation plan. Commissioner Norris filed a concurring statement. See our March 11 Alert on Order for more details. NERC issued a statement supporting the order and indicating that it has initiated the standards development process to address the directive. NERC plans to shorten its normal time periods for standards development and balloting to meet the aggressive FERC deadline. FERC FY2015 Budget Request and 2014-2018 Strategic Plan March 4 - FERC published its budget request for FY2015 and a five-year strategic plan through 2018. The budget seeks a $3.6 million increase (6.9% over FY2014) to implement NERC's strategic goal of minimizing risks to the bulk power system, including reliability standard development and enforcement. The budget request does not provide detail on specific reliability programs or offices. The strategic plan discusses FERC's core functions including reliability standard development and enforcement, coordination with other agencies regarding physical and cyber threats, and establishment of reliability goals for the bulk power system. FERC To Hold April 29 Technical Conference on CIP version 5 standards February 27 - FERC announced that on April 29 it will hold a technical conference on technical and operational issues relating to the Critical Infrastructure Protection (CIP) version 5 standards. Specifically, the technical conference will address (1) protection of Bulk-Power System communications networks, including remote systems access; (2) the adequacy of CIP version 5 standards' protections for Bulk-Power System data transmissions; and (3) functional differences between the CIP version 5 standards and the National Institute of Standards and Technology Security Risk Management Framework's treatment of cyber assets. NERC Proposes Two New Modeling Standards February 25 - NERC submitted to FERC a petition for approval of two new proposed reliability standards: MOD-032-1, Data for Power System Modeling and Analysis and MOD-033-1, Steady-State and Dynamic System Model Validation. In the petition, NERC also requested retirement of the currently effective "MOD B" standards MOD-010-0 and MOD-12-0, and withdrawal of pending standards MOD-011-0, MOD-013-1, MOD-014-0, and MOD-015-0.1. The new proposed standards are designed to replace, consolidate and improve upon the Existing MOD B standards. The new standards clarify data collection requirements, expand coverage beyond steady-state and dynamics modeling data to include short circuit modeling data, provide a mechanism to address technical concerns with the data collected, and require the validation of steady-state and dynamics models against actual system responses. NERC Proposes Revised Interchange Scheduling and Coordination Reliability Standards - February 27 - NERC submitted to FERC a petition for approval of proposed Interchange Scheduling and Coordination reliability standards. Specifically, NERC seeks approval of five proposed standards: INT-004-3, Dynamic Transfers; INT-006-4, Evaluation of Interchange Transactions; INT-009-2, Implementation of Interchange; INT-010-2, Interchange Initiation and Modification for Reliability; and INT-011-1, Intra-Balancing Authority Transaction Identification. NERC also proposed to retire prior versions of these standards. NERC Proposes New Personnel Operations Training Reliability Standard March 7 - NERC petitioned FERC to accept a new proposed reliability standard PER-005-2 (Personnel Operations Training), and to retire existing standard PER-005-1 upon acceptance. The standard covers training requirements for system operators, verification of system operators, and emergency operations training. NERC states that in response to FERC directives the revised standards expand the categories of personnel for whom training is required. NERC Posts 5-Year Review Assessment March 3 - NERC posted its draft five-year performance assessment and requested comments on the draft performance assessment by March 21. The assessment, which is required by section 215 of the Federal Power Act, evaluates NERC's efforts to meet its statutory requirements as the Electric Reliability Organization (ERO). The draft discusses NERC's strategic plan, improvements in reliability standards over the past five years, and projects such as the Reliability Assurance Initiative. NERC 2013 Annual Report February 27 - NERC released its 2013 Annual Report, which highlights its three key initiatives in 2013: standards, risk initiatives, and compliance. The report focuses on reliability outcomes in three broad categories: identifying and mitigating issues, improving and streamlining standards and initiatives to focus on priorities, and security and outreach efforts. NERC President and CEO Gerry Cauley stated that, "While more work remains to be done, 2013 was one of transition to a more comprehensive, risk-management approach to reliability." NERC Submits Quarterly Report on Nuclear Power Restoration February 26 - As required by Order No. 693, NERC submitted to FERC a quarterly informational filing addressing the time needed to restore power to the auxiliary power systems of U.S. nuclear power plants following a blackout. Of the data collected after simulations and drills, 63 of 132 of the first off-site power source restorations occurred within the first two hours following the simulated blackout event, and 105 of 132 occurred in four hours or less. Four facilities took more than ten hours to restore off-site power. NERC-WECC Delegation Agreement - March 4 - NERC submitted an informational filing on the NERC-WECC Delegation Agreement containing an amended and restated delegation agreement. CIP v5 Calendar Released – NERC has released a calendar identifying key deadlines for the revisions to the Critical Infrastructure Protection (CIP) Version 5 reliability standards. The calendar identifies dates based on the compliance tasks in FERC’s Order No. 791 culminating in a NERC filing seeking FERC approval by the end of 2014. NERC Enforcement Filings February 27 - NERC filed with FERC three notices of penalty in individual dockets, and a spreadsheet notice of penalty covering 22 violations of 9 standards by 11 entities. NERC subsequently made an errata filing in Docket NP14-19 providing specific details not in the initial filing. FERC also issued a notice indicating that it would not review four Notices of Penalty filed in January 2014. ICS-CERT 2013 Year in Review February 24 - The Department of Homeland Security's Industrial Control Systems Cyber Emergency Response Team (ICS-CERT) released its annual report assessing its efforts during 2013. The report outlines ICS-CERT's top priorities and expenditures across a range of critical infrastructure facilities. Microsoft Phasing Out Support for Windows XP - On April 8, Microsoft will stop providing security updates or technical support for Windows XP, but will continue to provide updates to its anti-malware signatures and engine for Windows XP users through July 14, 2015. The April 8 phase-out of security updates may increase cybersecurity risks for utilities relying upon Windows XP. If future vulnerabilities are discovered that affect Windows XP, after April 8 Microsoft will no longer provide updates to address to patch software security holes. 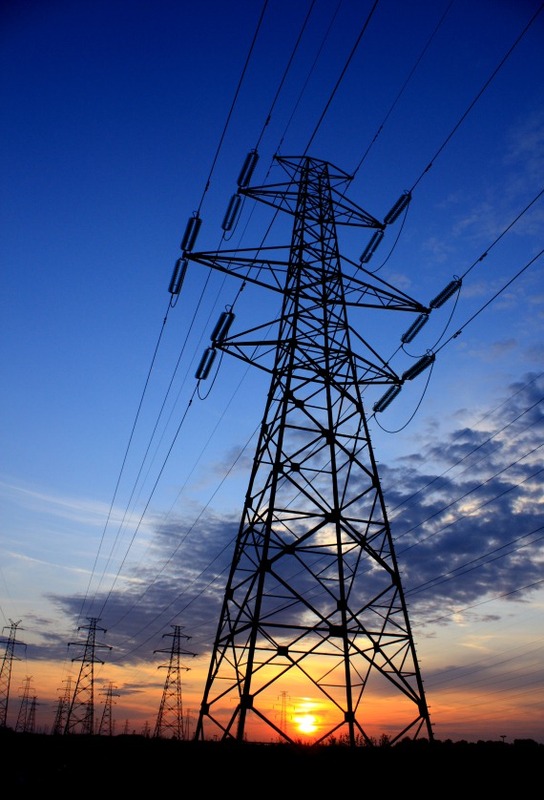 NERC Releases GridEx II Report March 12 - NERC released a report summarizing the lessons learned from its second industry-wide grid security exercise, GridEx II. Over 200 organizations participated in the exercise, which involved a simulated coordinated cyber and physical attack on the BPS. Peak Reliability System Operating Limit Methodology March 4 – Peak Reliability announced that its Phase II System Operating Limit (SOL) Methodology went into effect on March 3, 2014. Key enhancements include the addition of acceptable system performance criteria for multiple contingencies and an enhanced process for determining SOLs that qualify as Interconnection Reliability Operating Limits (IROL) in the Peak Reliability Coordinator Area.